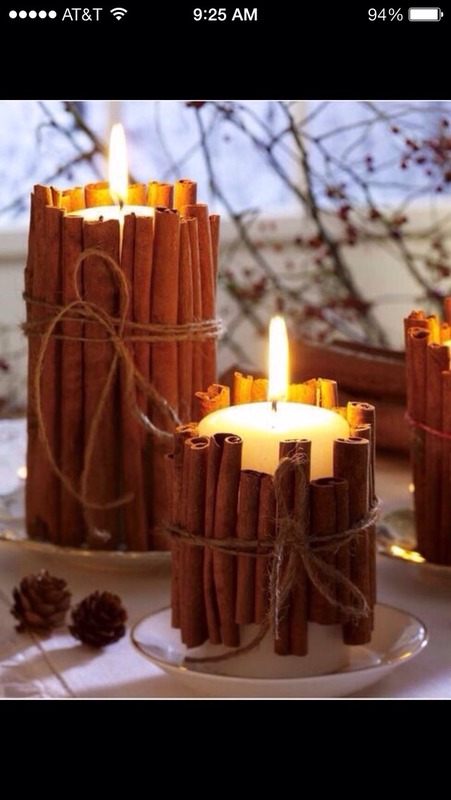 Decorate a pillar candle with cinnamon sticks to dress up a plain candle as well as infuse the warm smell of cinnamon throughout your house. The heat works to spread the cinnamon. Tie with a string and tada!